I’m very impressed with the VIZIO SmartCast speaker series as all of them has a new stylish design and come with a lot of useful features. 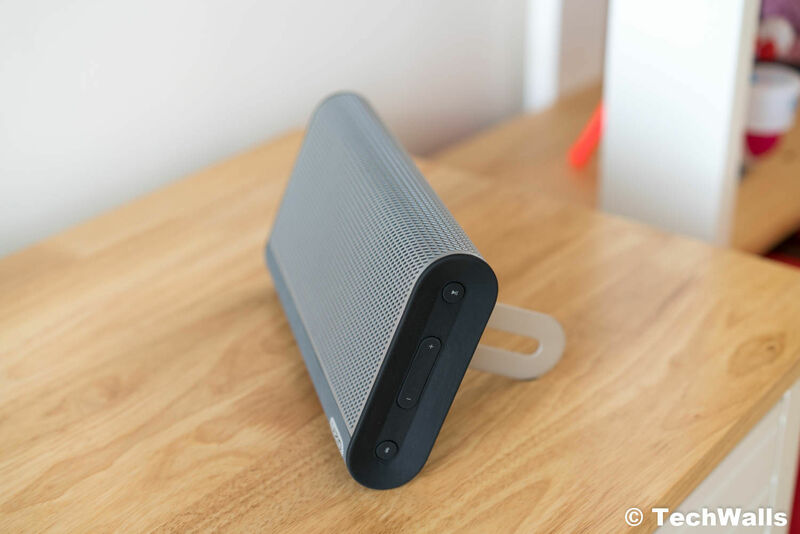 VIZIO SmartCast Crave Go is the second Vizio wireless speaker I’ve tested after the amazing VIZIO Crave Pro. Therefore, I really hoped that this would be a perfect addition to my multi-room setup. Let’s see how it performs in the review. 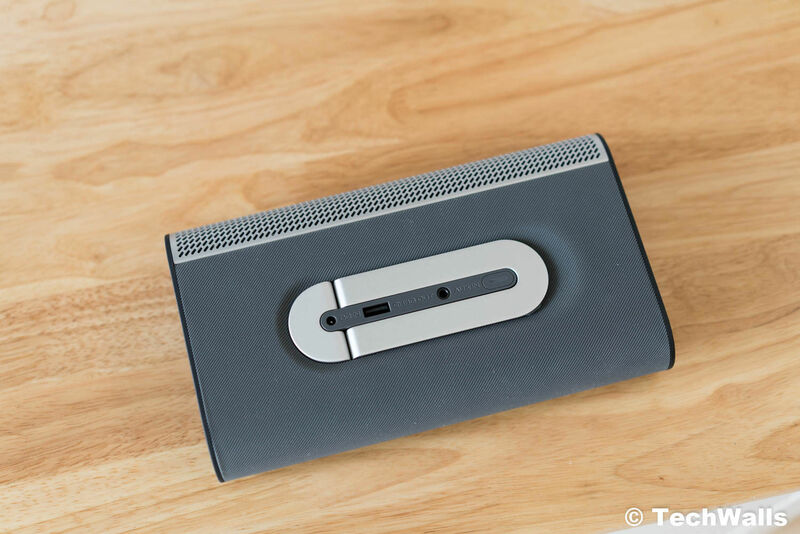 The VIZIO Crave Go still has the Vizio’s signature design with a large metal grille covering the front and top of the speaker. 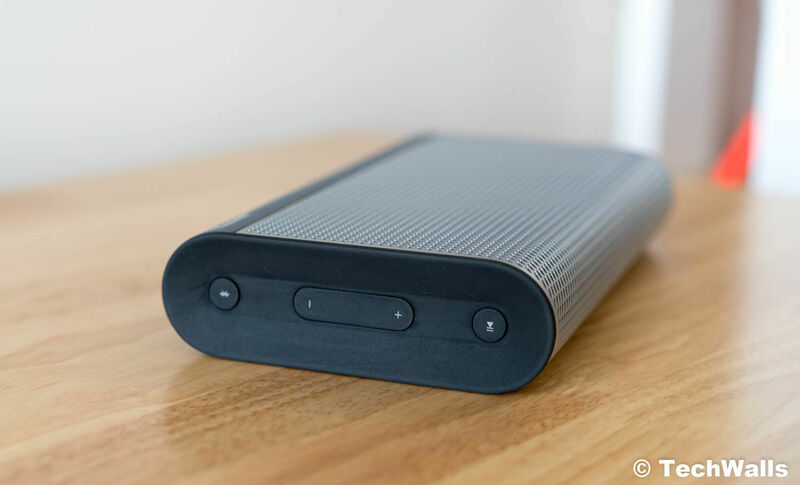 Since the Crave Go is a portable Bluetooth speaker, Vizio makes it more durable with rubberized plastic surfaces all around the speaker. This is a very nice implementation, so the Crave Go doesn’t look dull like other Bluetooth speakers. In fact, this is the most beautiful portable speaker I’ve ever used. It feels heavy and sturdy with a solid build and high-quality materials. The speaker has a rounded bottom, so it can’t stand on its own. On the back, we have a kick-stand that can be opened to place the speaker upright. Here you can also find a USB port to charge other devices, a charging port, an auxiliary port, and the power button. On the right side, we have a Bluetooth button, volume up/down, and play/pause button. Everything seems to be great with the Crave Go, however, I found out some issues in real-life usage. There is only one LED notification on the power button, so there is no way to tell if the speaker is on or off when looking at the front. And the bad news is that the speaker doesn’t automatically turn off after a period of inactivity. I forgot to power the speaker off and it stayed on after a few hours; Moreover, the back feels very warm, so I guess the battery was still draining out during the idle period. Connecting via Wi-Fi and using the SmartCast Mobile app were a painful experience. It took me a lot of efforts to set up the speaker in the app and even when successfully connected, the app control is very slow and unresponsive. Sometimes I can’t turn on/off the speaker and it takes more than a few seconds to start streaming music via Chromecast. The feature works much better on other VIZIO products like the Vizio soundbar or Crave Pro. I’m totally disappointed with the performance of Chromecast streaming, so I use the speaker in Bluetooth mode more often when I need to listen to music quickly. The battery life is another huge letdown of the Vizio speaker. While I’ve used many Bluetooth speakers with the battery life of 15 hours or even 20 hours, the Crave Go’s battery dies after just about 4-5 hours. Besides, it’s difficult to know when the battery is fully charged; the only way is to open the app and check the battery level there. The app is terrible but we still need to use it to set up Chromecast, check battery level, and make adjustments to the sound. Fortunately, I don’t have to use that app to set up a multi-room speaker system in my house. Setting up with the system with Google Home app is easy and the music in all VIZIO speakers is synced perfectly. After bad initial impressions, I expected the Vizio Crave Go could sound good as other Vizio speakers. Unfortunately, I was set back once again when sitting in front of the speaker for an hour. I couldn’t imagine a speaker with such a premium build quality could sound that mediocre. The sound is powerful and vocals are clear, however, the bass is muddy and overwhelming while the treble is muffled. The result is a boxy sound that you can find on some cheap products. Then, I played around with some settings in the SmartCast Mobile app and there are options to adjust bass, treble, and EQ. I lower the bass, increase the treble, and set the EQ to natural. Obviously, the speaker can’t reproduce the low frequencies clearly and accurately, so I decided to decrease the amount of bass to -1 or -2. After all, the speaker sounds much more pleasant and can compete with any Bluetooth speaker in the sub-$100 price range. You can check out my sound test in the video below. I also tested the speaker in the multi-room setup including the VIZIO soundbar, Crave Pro, and this Crave Go. Everything runs smoothly and the Crave Go sounds brilliant in the whole system. Moreover, it is the only portable speaker, so I can bring it anywhere throughout my house. The VIZIO Crave Go might not be the best sounding wireless speaker at the price range but it is a perfect complement to your home audio system. 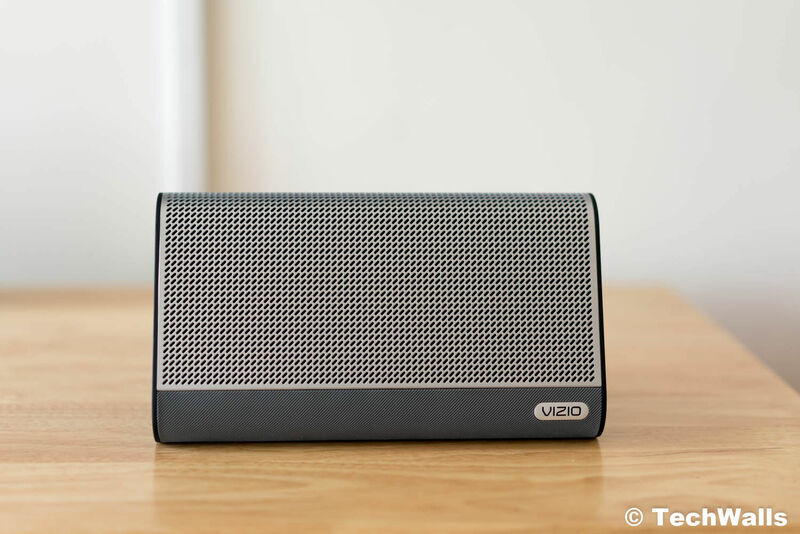 It seems like VIZIO didn’t make this speaker to be an outdoor speaker since it is not rugged and water-resistant. However, it is really a great portable speaker in a multi-room setup, especially when you already have another Chromecast built-in speaker. 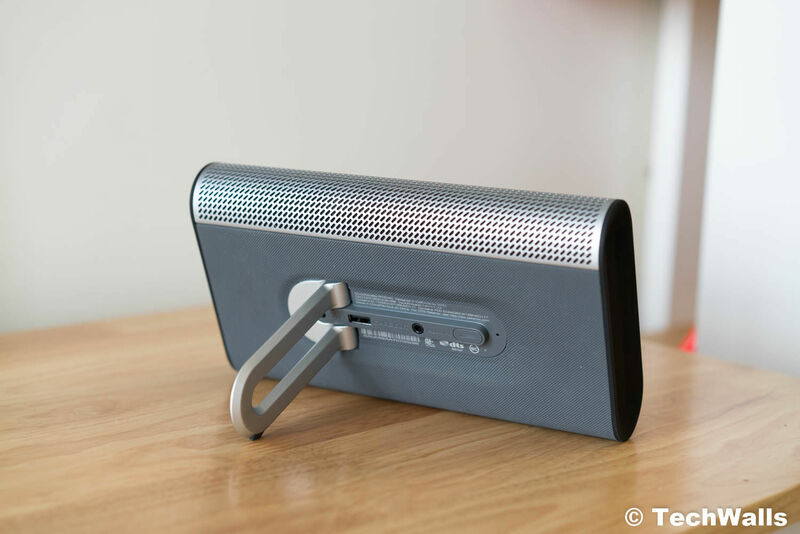 A good speaker with Chromecast built-in feature.